I Am A Quantum Leaper! Are you a Quantum Leaper? I know you are. It's exciting as we leap over all those things that have prevented us from being successful. Do you want to be successful? I know you do! You are a Quantum Leaper! Success is possible in every area of your life. Experiencing success begins when you release the familiar for the unfamiliar. In essence, when you take a quantum leap away from the familiar as you leap towards the unfamiliar you relinquish the gravitational pull on you not to excel. Write down those areas of your lives and the things in your life that you want to overcome. Make a commitment that for the next 90 days you will be committed to leaping out of those negative habits, relationships and words. 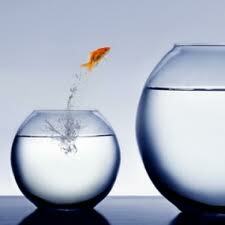 Don’t be afraid to do something out of the ordinary because quantum leapers are extraordinary! Make a commitment that each day you will do something in overcoming them. Regularly report your progress along the way to other quantum leapers who will help keep you encouraged--purpose catapulting purpose. Giving up is not an option! Never give up! Let go of limiting beliefs and mindsets. Adopt the premise, “Common sense any so common,” because Quantum Leapers are transformational thinkers. Speak only life-empowering and life-transforming words that catapult you forward. Stop being an accomplice to your failure! Take the leap and soar! We want to hear about your progress. Join us on Facebook and provide us with your Quantum Leap Experience! Leap into a higher stratosphere of success! Develop as a spirit-centered leader. Have a free Life Makeover consultation.. Leap Into My Vision & Destiny Be coached and learn more about The ME Place Mentor Empowerment Institute. Sign up for Showers' Blessing Inspirations Receive information for the weekly Wealth & Riches Hour of Power to participate in the weekly conference sessions. Describe the things you will overcome during this 90-day Quantum Leap Challenge. We will touch and agree with you daily in prayer.